Park Cameras hosted a nature walk with ZEISS Ambassador and respected naturalist Simon King. Set in 3,500 acres of stunning countryside at Knepp Wildland (just south of Horsham, Sussex), we took an array of ZEISS optics with us to help us spot some wildlife. Arriving at Knepp Wildland, it was impossible not to be wowed by the beautiful countryside. Set just south of Horsham, our day started with a brief history of the estate, from landowner Charlie Burrell. 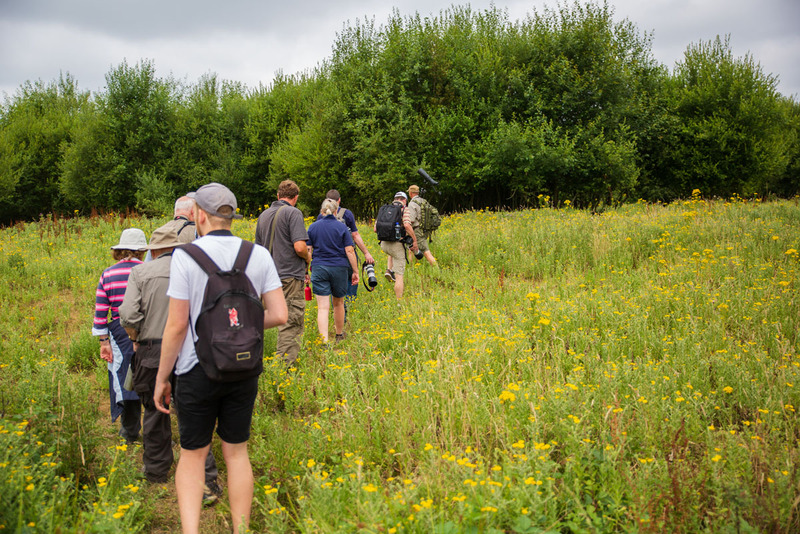 With coffees on the go, our attendees were keen to find out more about the ‘rewilding project’ that has turned Knepp from a conventional cattle farm into a haven for British wildlife. The clay ground is graded between 3 and 4, which means there is a low crop output. 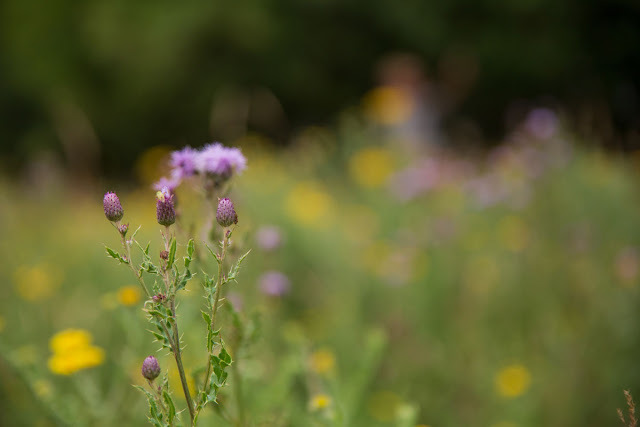 As a result, since 2001 Charlie has led the Knepp Castle Estate through a process led ‘arable reversion’ – allowing nature to take its course. The results are spectacular - Knepp is a breeding hotspot for turtle doves, nightingales and purple emperor butterflies. It’s also home to cattle, deer, red kites, and even the odd peregrine falcon. The trouble with spotting nature is that you can't get close to it – which is where optics come in to play. Famous for their quality optics, Zeiss were on hand with their product expert Matt. Attendees of the event had the chance to try out a variety of binoculars. 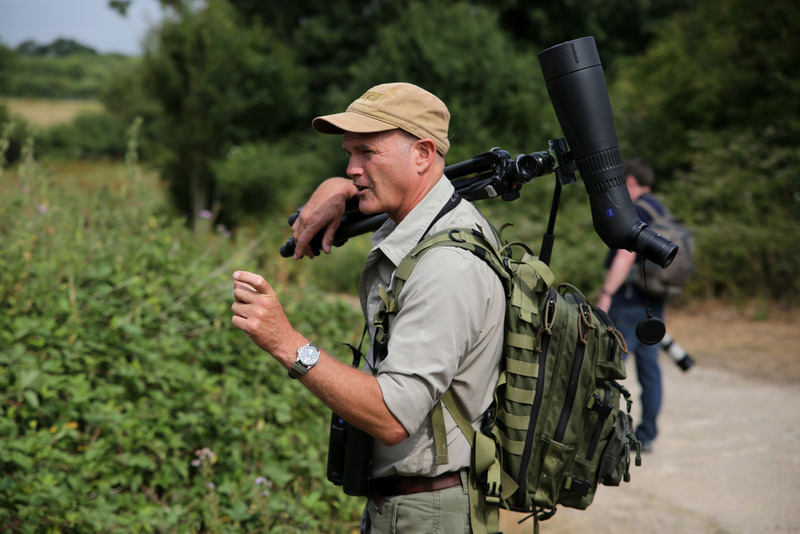 From the pocket-sized ZEISS Victory Pocket 8x25 Binoculars through to the Victory Harpis Spotting Scope, Zeiss rep Matt was on hand to advise. Simon King’s go-to choice was the ZEISS Victory SF, citing the excellent balance as a decisive factor. The extra comfort and ease of use this brings over the course of a long day in the countryside accumulates, especially when you consider how often you end up reaching for them to scan the sky. With two spotting scopes with us, we set out to see what we could discover. Knepp Estate may have 3,500 acres, but with only just over 2 hours for our walk, we barely scratched the surface. Yet even in such a short amount of time, we passed through many micro-environments – streams, open fields, hedgerows, woodland edges and the impressive ‘hammer pond’. 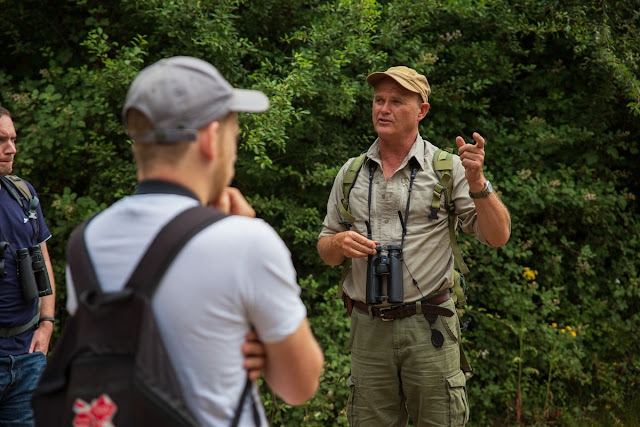 Guided by Simon, his knowledge of the local wildlife – and its relationship to the surrounding environment – was humbling. We learnt a lot: that boar were critical to ‘rewilding’ (they scuff up the ground, allowing seeds to root), that the humble bramble helps trees grow as the saplings are protected, and that White Stork were returning to the area after a 500 year absence. We saw some deer running through the woods, but by the time we pointed our Canon 5D & 70-200mm lens at them, sadly they had long gone. 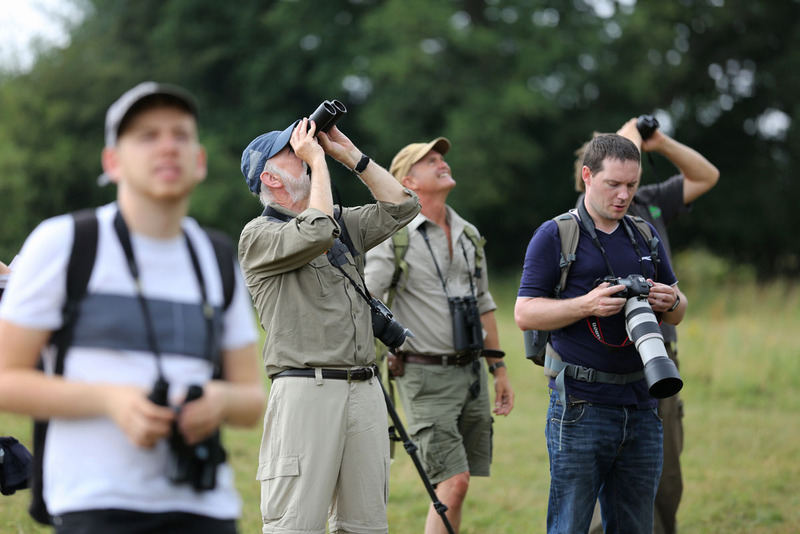 The spotting scopes provided incredible clarity on distant subjects, thanks to the quality of the objective lens. 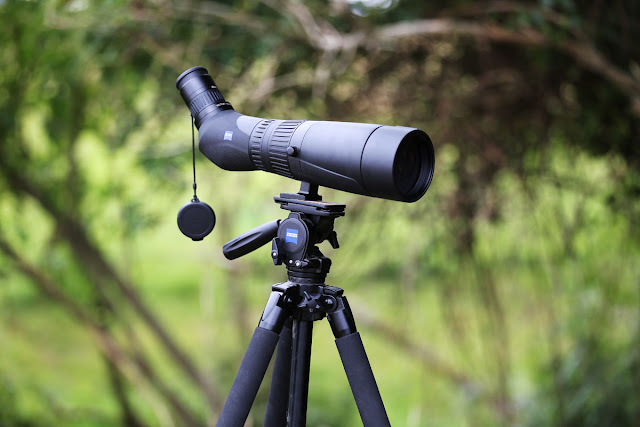 They are a different beast compared to binoculars of course – you’ll want a tripod with you. For best results, you’ll want to make sure you have a video style, fluid tripod head attached for smooth panning. Don’t under-estimate the impact of the vast range covered – at 70x magnification, the slightest movement of the scope causes vibrations which blur the image. To capture still images from your spotting scope (‘digiscoping’), you’ll need to attach the camera to the eye-piece – adapters will vary according to the brand of the scope and the type of camera used. DSLRs tend to require T-mount adapters and variations on step-up rings, while adapters for mirrorless / compact cameras also vary. 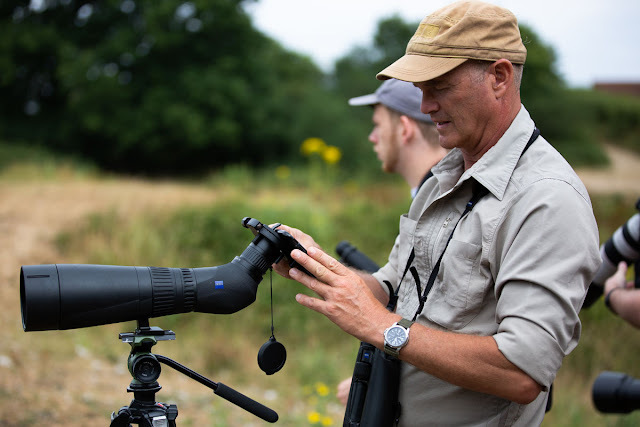 Simon King had the Opticron Smartphone adaptor with him (pictured above) – the shots below show the effectiveness of digiscoping to capture far-off subjects. 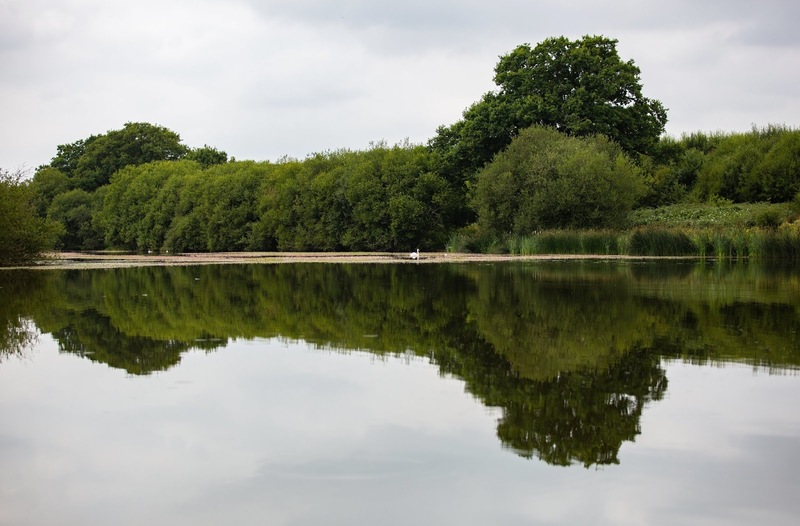 This image of the 'Hammer Pond' was taken with a 70-200mm lens. Can you spot the Grebe nested in the reeds? There she is! The power of digiscoping - and this was taken with a phone! Image courtesy of Simon King. 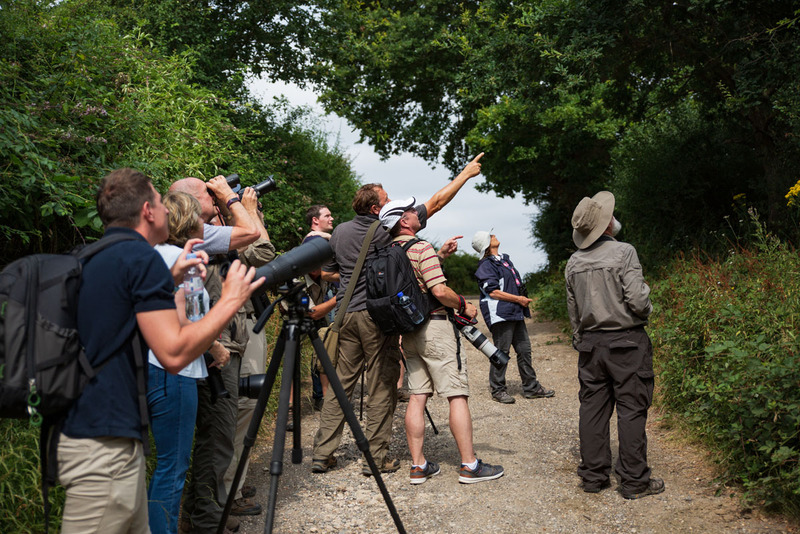 We regularly hold events such as these – we bring our passion for cameras (or optics in this case!) and combine it with experts from their field. Simon King OBE is a prime example – a respected television presenter and cameraman, specialising in nature documentaries.